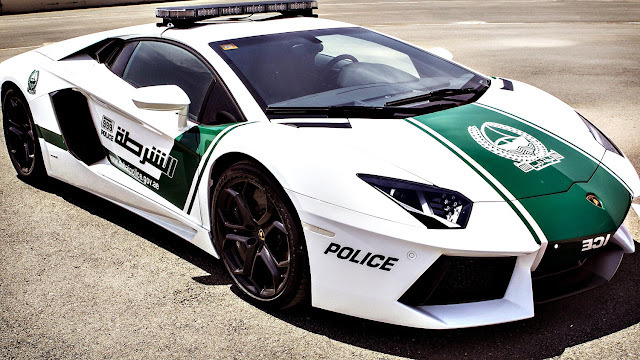 After Lamborghini, another luxury sports car, Ferrari, will be added to the Dubai Police patrol fleet this week. Lt Gen Dahi Khalfan Tamim, Dubai Police Chief, said on Monday that Dubai is a unique city and everything in it should reflect its uniqueness and for that reason police will add a Ferrari sports car to its patrol fleet. Lt Gen Dahi added that the exclusive vehicle, the price of which exceeds Dh2 million, will enter service by the end of this week to confirm Dubai as magnificent and extravagant in all the services it provides. He said Dubai Police is on of the few police forces in the world which has such cars in its security patrol service. He said police received an amazing reaction from the public when the Lamborghini police cars hit the roads in Downtown Dubai so they decided to add the Ferrari to their fleet as well. “These sports cars will not be roaring and chasing speeding motorists,” he explained. “They will be used for roads security in different areas of Dubai,” he said. Last week police added the Lamborghini police patrols to its fleet. The new cars will be used to keep order on the streets in high-end areas like Burj Khalifa, Shaikh Mohammad Bin Rashid Boulevard and Jumeirah Beach Residence. Another sports car has become part of the Dubai Police fleet as have deployed Chevy Camaro sports cars on the emirate’s highways. Police said the Ferrari sports cars will be on the roads soon. “Dubai Police are working on updating the police patrol cars to enhance security on the roads in accordance with highest international standards and technical developments,” said Lt Gen Dahi. This is the first time ever in the history of any countries police that they include Ferrari car in their team. Dubai police headquarters now going to use Ferrari for their patrolling in city. thanks for this nice article. for more details about Car Rental Dubai please visit amexuae Car Rental. A fine quality blog about the Ferrari 458 speciale aperta hd wallpapers! I like the way blogger presented information regarding the concerned subject. Thanks for posting such a nice blog. I'm looking to buy a nice looking sports car and don't know what to buy. I'm into Nissan 350z's, lancers, and cars like that.